Create a video that inspires investors to raise another £200k of funding for Miso Tasty's continued growth. 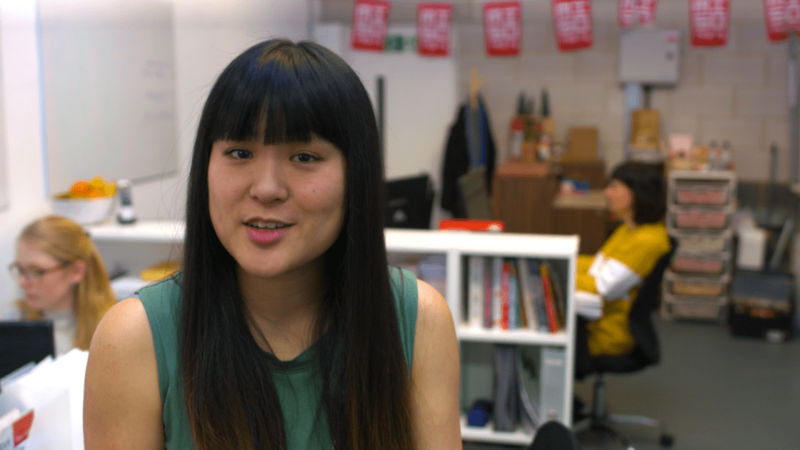 Last year we made a Seedrs campaign video for Bonnie Chung at Miso Tasty. Her campaign target was reached in a matter of hours, enabling her to bring her new noodle product range to market. A new listing in Tesco meant she needed another round of investment. Still East London based, she needed another Hackney crowdfunding video to be filmed in her new office. So we grabbed our camera, hooked up our teleprompter and got to work! Since the last round of funding, the Miso Tasty team has grown, so we were keen to feature some of their new staff in a fun way. It also enabled us to show off different parts of their new offices. Gavin gave Bonnie a few presenting to camera tips, which really helped her improve her performance from last year. She came across as the confident leader of a growing business. Using a teleprompter is really key to delivering a slick performance to camera. The new campaign was a success, again raising well beyond their target. This should see them set for another year of growth!